Young and the Restless spoilers for Friday, January 8, 2016 bring drama to several families, including bleak news regarding the health and life of a beloved character on The Young and the Restless. The plot is set to thicken between Luca (played by Miles Gaston Villanueva) and Adam (played by Justin Hartley) as the two work together after Luca approaches Adam for assistance in a private matter. Luca’s approach leaves Adam wondering what it is that’s going on in his life, but he won’t have to wonder for long. 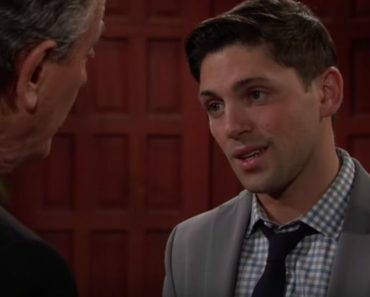 Fans will not wait to find out that the matter that requires Luca comes crawling to Adam for help is all about Marco (played by Peter Bergman) and a situation that is coming to light between he and several other main characters from The Young and the Restless. Seeing as how Luca is already manipulating and using Marisa (played by Sofia Pernas) in an attempt to destroy the man he knows as his father, it appears that Adam might want to reconsider his role in this plot. Marisa’s role in the scheme that is currently in the works is informant, working for one man to bring down another, and she will continue to do so as fans watch with anticipation. While fans won’t find out Friday how this story ends, they will be left wondering who, if anyone, will end up burned in this situation. Will it be Adam, who has little to no trust when it comes to his relationship with Luca, or will it be Luca, who behaves as if the feeling is quite mutual? By the time Luca’s scheme has come to head, it’s certain that someone will end up dealing with the repercussions of this situation. The unanswered question now is simply which one it will be who is slick enough to out-dupe the other; though the odds lie in favor of Adam, who has years more experience in trickery and deception than Luca, who does seem to be learning quickly. In other deceptive news, it seems that Jack (played by Peter Bergman) and Victor (played by Eric Braeden) are not seeing eye-to-eye when it comes to a business opportunity that interests them both. Billy (played by Burgess Jenkins) might want to watch out, too, since it appears that Victor is out for blood, looking to take over Billy’s role in the business right from under his nose. Unfortunately, Jack chose not to believe in his brother, which means that Victor now has the means, opportunity and perfect moment to overtake Billy and all that he has worked for. Jack, it seems, is set on denying blame that his brother’s misfortunes are a result of his lack of belief and care, and he will wonder if there is any way that he can prevent Victor from coming into the picture and taking all the profit for himself while his brother remains hospitalized fighting for his life. “Who’s responsible for Billy’s hopes and dreams being dashed?” he asks of his brother’s situation while still fighting over Kevin’s web business. Jack is angry that Victor wants to come in and replace his brother as an investor in the project, but considering his brother’s injuries and hospitalization, it appears there is nothing he can do – yet – to gain control of the situation. Speaking of Billy, it appears that the prognosis is not good. 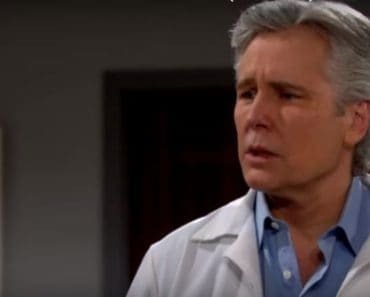 Friday brings bad news for Billy and for Jill (played by Jess Walton) when doctors finally approach her to give her an update on Billy’s condition; and fans will get to see her as she breaks down upon hearing the news from the doctor. Ripped apart, heartbroken and desperate to know that he will overcome his health issues, she asks the doctor whether or not there is any hope at all. Whether or not Billy can, realistically, overcome this issue is unknown, but fans know that at the moment anything could happen. 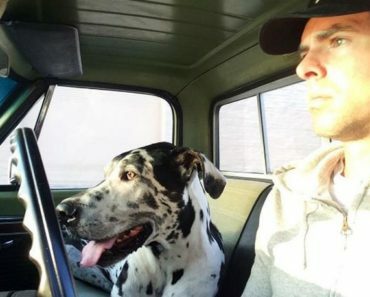 Rumor has it that there will come a point when the situation turns itself around and Billy might show some form of improvement over his injuries. To find out what happens on Friday’s The Young and the Restless, tune in to see the show at 12:30 pm (EST) on CBS for the hour-long episode.